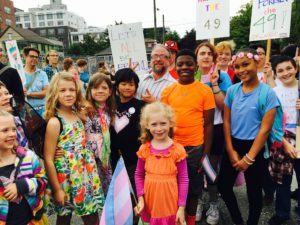 What Can I Do Right Now For Trans Children? The past week has been one that few of us will ever forget. My most immediate thoughts after the election had me agonizing as to whether my work for trans rights over the last two decades would just go up in smoke. Not just my work, either. The progress and legal protections we have today have been the result of courage and persistence shown by so many who were there well before my time. Is all that going to disappear? I do not know the impact our impending change of administration will have on your lives, my life, and the lives of your trans or gender diverse children, or on our state and national policies. Opinions put forth by various leaders are ranging from an optimistic acknowledgement of some hard work ahead, to significant losses in civil rights, to the hard inevitable reality that this increase in intolerance will be evident in the number of trans lives lost. I’ve spent the last number of days wondering what might be ahead. Optimism and fear are sharing space in my head. Utter depletion coupled with a building fervency, seemingly contradictory, are nonetheless what I’ve been feeling at any given moment. What I’ve decided for today is this. The work of Gender Diversity is nothing short of miraculous. The positive impact on my life, your lives, and the lives of your children provides living, breathing proof. This positive impact extends well beyond our groups to school districts, camps, sports, and theater programs. Even Children’s Hospital and the US Dept. of Education have been directly influenced by our work AND especially, our courage. And by “our” I mean every single one of you! Moving forward, I fully intend to lean on my faith in my fellow human beings to be what I know them to be – good people who want to do the right thing. What I encounter each and every day in my work is that people, regardless of political affiliation, faith beliefs, and cultural differences, are quite capable of being understanding and compassionate to trans children IF provided with an opportunity to learn. If there is anything Gender Diversity does, it’s providing those kinds of opportunities! Whether it is through our support groups, our school & organizational trainings, or our annual conferences, we are making a ripple across this nation. I’m not done making a ripple, not by a long shot! I know you aren’t either. If you are looking for a way to take action right now, please consider a contribution to our annual end-of-year fundraiser, Double Thanksgiving. A handful of amazing donors have already jumped at the chance be part of the change so needed in our world. Now they are asking you to match them dollar-for-dollar. Every dollar you donate will be DOUBLED, up to a whopping $38,000! This means we have the potential to raise $76,000.00 total!! Together, let’s turn that ripple into a wave! 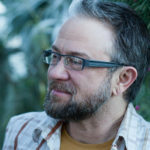 Aidan Key is the founder and executive director of Gender Diversity. This entry was posted in Blog and tagged DblThx. Bookmark the permalink. 3 Comments on "What Can I Do Right Now For Trans Children?" May blessing descend upon you and your family Aidan (hey wait! I’m family too! Hooray!!) You are so strong and driven to serve families like mine. I thank God for you, for your presence then (three years ago!) and today. Thank you for all you do. I am humbled and inspired. Thank you, Aidan, for organizing this very important odyssey. As a grandparent of a recently evolving trans grandson I hope to become better informed about the complexities of this “odyssey”. I understand you have done in service to educators in our area. As a retired educator are there any available workshops coming up my husband and I could attend? My 3.5 year old son has been saying he is a girl or wants to be a girl for the last year. This week we are taking him shopping. He can pick out 3 outfits of his choice. It might be boy clothes or it might be girl clothes. It will be his choice. I want him to be his true self. Our next step will be asking him if he would like to be called a “he” or a “she”. I want my child to have the same opportunities as everyone else. Thank you Aidan for your post.